Queensland Farmers’ Federation (QFF) actively seeks strong partnerships within industry, across sectors and with private enterprise to deliver positive economic, social, environmental outcomes on regional matters. Telstra knows that connectivity is vital to regional, rural and remote communities. That is why they are committed to providing improved and expanded mobile coverage across Australia. Telstra is investing a digital future that champions the needs of farmers. They offer a range of products to suit the specific needs of rural and regional Australians. As a partner of Queensland Farmers Federation, Telstra is making a commitment to the people of the country, providing support for the agricultural sector in Queensland and helping regional communities to thrive. 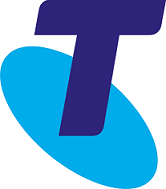 Visit www.telstra.com.au/telstra-country-wide for information on rural-based products to suit your home and farm business. At Holding Redlich, great law is our starting point. We have a broad depth of specialist experience from the farm gate, through the supply chain to export and beyond. From acting for third and fourth generation family business through to large corporates, industry groups and international investors, we have the skills to meet all legal needs in agriculture. Across our offices in Melbourne, Sydney, Brisbane and Cairns we provide solutions tailored to our clients’ needs, underpinned by the very best legal thinking and expert industry knowledge. But it takes much more than great law to build enduring partnerships – our aim with every client. That’s why we have a personal stake in our clients’ success and longevity, a commitment to quality in everything we do and an informal culture which values respect and collaboration. Our clients receive the benefit of our strong political, commercial and cultural networks where necessary to get results. And above all else, we understand that our role is to look after our clients and their best interests. Visit www.holdingredlich.com for more information. Jacobs is a premier global consulting, design, engineering, construction, operations & maintenance and technical services firm delivering advanced solutions for a more connected, sustainable world. Our 77,000+ employees in 400+ locations around the world serve a broad range of companies and organizations, including industrial, commercial, and government clients across multiple markets and geographies. Our company’s vision, mission and values are the cornerstones of our culture. They guide our global strategy, define our overarching goals and serve as a constant reminder of Jacobs’ high performing, innovative and empowered culture. We pride ourselves on operating seamlessly around the globe. We sustain this single culture by remaining true to our values. These values address how we interact with clients, vendors and one another. They help shape our business strategy and are the foundation of our code conduct. Visit www.jacobs.com for more information.